Queen Elizabeth II on Monday hosted a reception at the Buckingham Palace to launch the UK-India Year of Culture 2017. Finance Minister Arun Jaitley represented the Indian government at the historic event. Indian delegation including cricket legend Kapil Dev, film actors Kamal Hassan, Suresh Gopi, singer Gurdas Mann, fashion designers Manish Arora and Manish Malhotra and sitar maestro Anoushka Shankar were present at the grand event. 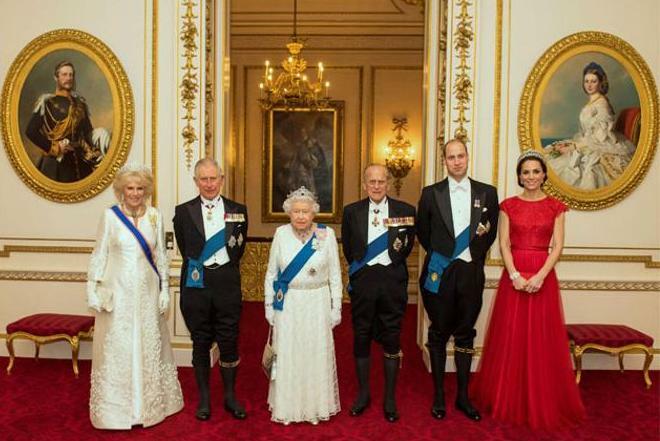 The 90-year-old Queen was joined by her husband, Prince Philip, Duke of Edinburgh, grandson Prince William and his wife Kate.